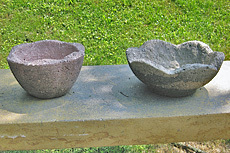 TUFA GARDEN ART makes hypertufa garden pots and decorations that are very unique in character, versatile in use and design to enhance your garden appeal. 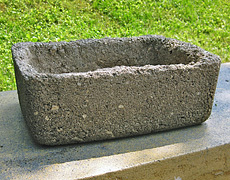 Tufa is great for planting your favorite plants that you cherish. 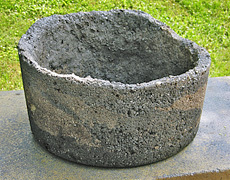 Hypertufa pots act as a spongy cellular rock , giving access for air and a reservoir for water. 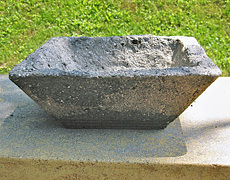 Tufa Garden Art specializes in creating one of a kind garden art. 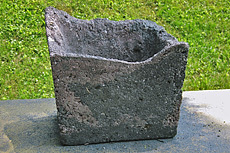 Every planter is distinctive in its own way including design, color, textures, rocks, and different variations. We invite you to contact us for custom orders. See our creations at these outlets. Only for Tufa Garden Art Specials and Event Information. © Tufa Garden Art 2016 All Rights Reserved.